With all of the online buzz today about social media, blogging may seem like an old idea to some businesses. However, for many, it is still a new frontier. I previously took a deep look at leveraging Twitter for lead generation as the first in our series of social media lead generation articles. Today, let's take a deep dive into business blogging to ensure your business is doing everything it can to leverage its business blog for lead generation opportunities. When it comes to proving the ROI of B2B social media, blogging can be the best place to start for many organizations. Blogging is such an important aspect of driving B2B marketing results because it delivers many direct and indirect business benefits. While this post focuses mainly on lead generation aspects and less on content creation aspects, it is important to start with one critically important understanding: to get the maximum lead generation benefits from blogging, your business needs to make its blog a part of its corporate website. Blogs are dynamic ; they drive fresh content that prospects and search engines love. Traditionally, corporate websites were static; they had traditionally served as digital brochures for businesses. By connecting your business blog to your website, you can transform your website into a dynamic resource and generate search engine traffic from your blog posts. Think of it this way. The web is not linear. People don't just visit your homepage and select the page they want. Instead, if you are blogging, the majority of your site visitors will start their visit with your blog because they'll find it through search engines, social media and subscriptions. By making your blog a part of your business' website, you can make it easy for new visitors to move from your blog to other parts of your website that support lead generation. Traditionally, blogs are added to existing business websites in two ways. The first format is a subdomain: blog.yourdomain.com . The second option is as a page on the site: yourdomain.com/blog . Both are good options. The most important issue is that the blog be part of your main business website. If a person is visiting your blog, they could be at a variety of points in the leads and sales process: a first time visitor, a warm, sales-ready lead or somewhere in between. 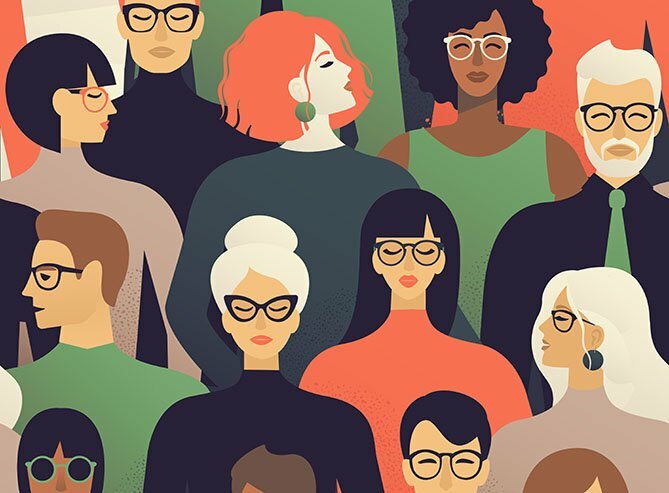 As a B2B marketer, your job is to diversify the lead generation offers available on your blog so they apply to these different personas. These offers will fall into two main categories. The first category is content. If someone is visiting your site for the first time, it's likely they aren't ready for a ton of product-focused information. Instead, they probably want to learn more about your business and, more importantly, your expertise. The best way to convey industry expertise is through some type of premium content. This content could be an eBook, a webinar, research or other type of content that provides more depth than a blog post. Warm leads need a different type of offer. They already know that you have expertise, possibly because they have read one of your premium content pieces or because they have already talked to a sales rep. 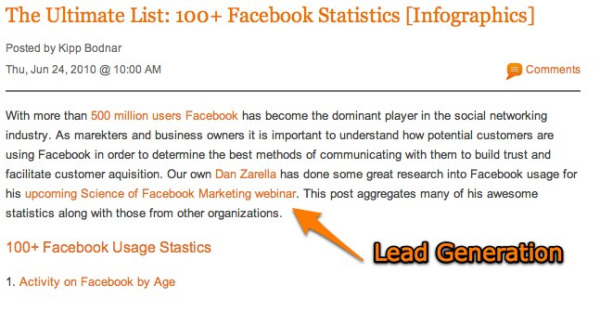 These leads want more product-focused information. They want detail, a discount or a free trail. 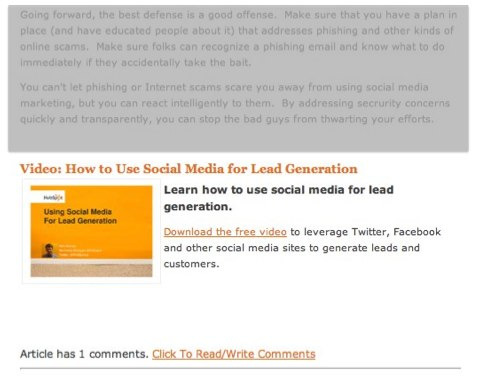 This is the second type of lead generation offer that should be found on your blog. This type of offer is a direct product offer. It is important to make sure both of these offers are attached to landing pages that can capture new and reconverting lead information. Now that we have a clear understanding of the types of offers needed to maximize lead generation, our next step is to determine how to best promote these offers on a business blog. All blogs are different, and depending on your audience, consumption habits may also be different. Therefore, it is critically important that you test the placement, design and copy of your blog's calls-to-action to maximize your conversion rate. While testing is important, business blogs have a few foundational opportunities for call-to-action placements that can serve as a great place to start the blogging lead generation process. 1. 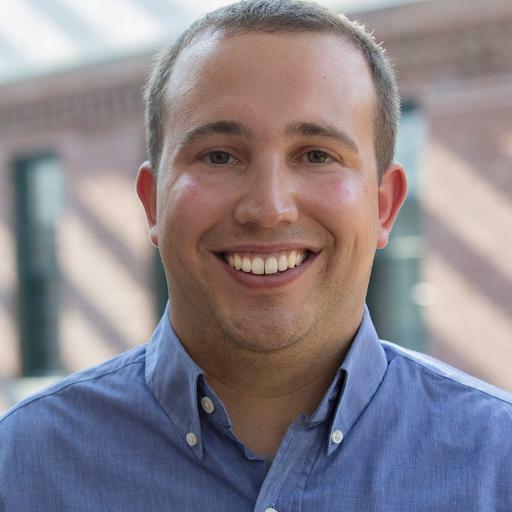 The End of a Blog Post - Putting a call-to-action at the end of a blog post is the offline equivalent of calling a lead within minutes of a conversion. If someone has just read a piece of your content, it is likely they are at the peak of their interest. If you can place a call-to-action at the bottom of a blog post that connects with a content offer similar to the topic of the article, then you can dramatically increase your response rate for generating business blog leads. 2. 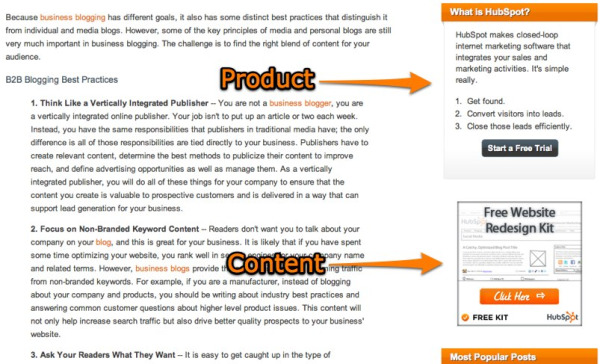 Top Bar and/or Side Bar - Think of your blog like a publishing site. What type of content offers are most applicable to the majority of your blog readers? Use these offers in visual calls-to-action, either in your sidebar or below your blog's navigation. This type of call-to-action will have a lower click-through rate, but it will help capture leads that are not focused on a particular blog post but are instead scanning your blog. 3. Text Links - It is common practice to link to other websites and blogs in your own blog posts. Additionally, it is important to take the opportunity, where relevant, to include some anchor text links to offers related to the blog post . 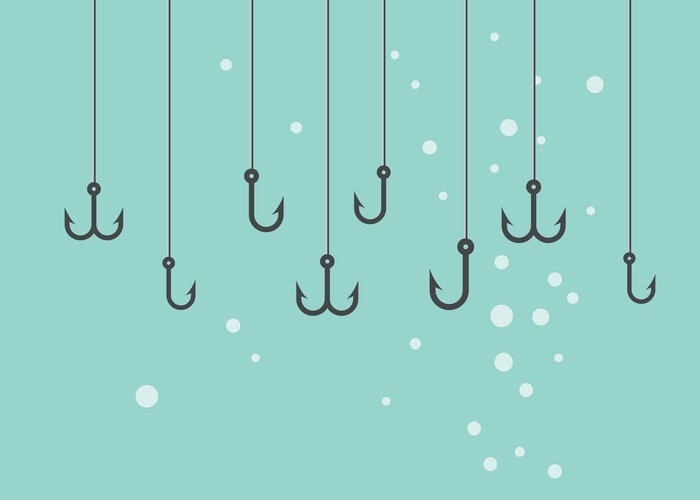 Use these anchor text links to direct readers to landing pages with a relevant offer as a way to help supplement lead generation and target readers who are focused on solving a particular business problem. 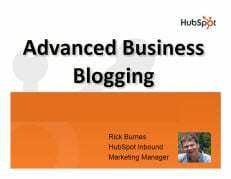 This post provides a structure and methodology for blogging lead generation, but it is up to you to optimize it for your business. Content is still king. Great content will drive qualified visitors, which is the foundation for blogging lead generation. 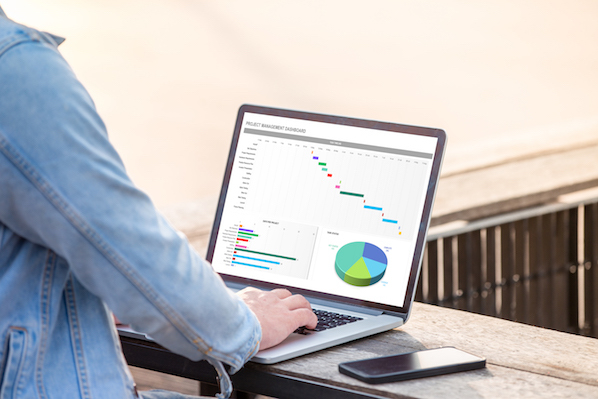 When working with your own calls-to-action, it is important to analyze data on a regular basis to determine what offers, calls-to-action and placements work best for your audience. Look at click-through rates to landing pages and conversion rates on landing pages as two important metrics for determining what is working best for your blog. Once you indentify what works best, focus more time and effort on those key drivers, and reduce efforts on offers and calls-to-action that are not driving results. What have you found to be successful for generating business blogging leads ? 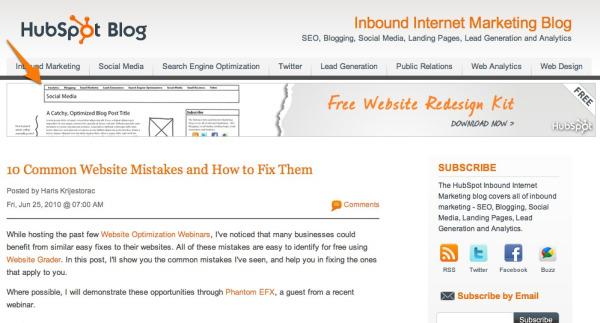 Learn how to build your business blog into an inbound marketing machine. Download the free webinar to learn how to create a thriving blog.